In this brief article, we will explore some basic concepts derived from Chinese Dietary Therapy, and learn how to apply them safely. The basics are easy to understand, and enjoyable to explore. Foods are not medicinal herbs. 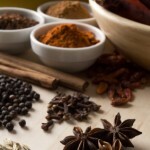 Most foods do not create the same dramatic effects that some herbs can produce. Furthermore, even some herbs work relatively slowly when compared to the effects of most prescription medication, particularly in the case of tonic regimens. For this reason a professional should perform the prescription of herbal treatments, whereas the practitioner can simply offer guidance in the selection of foods by the patient. This empowers the patient. Tradition suggests that the receptivity and strength of will of the patient play a critical role in the success of food therapy. Due to the often slow and occasionally difficult to perceive effects that dietary changes can involve, a great degree of perseverance and will power is required. The therapeutic relationship plays a significant role in furthering the patient’s resolve. The elimination of foods having deleterious effects can often promote the swift resolution of bothersome complaints, and spur the patient on to a greater appreciation of the more slow-going gains associated with proper dietary decisions. One’s attitude to making dietary transition is very important. Concepts like “comfort foods” and the far-reaching assumptions about foods and diets in everyone’s mind highlight the importance of taking attitudes into account in dietary therapy and nutrition. Nevertheless, addressing this aspect of nourishing life and health can be very empowering and engender awareness. Temperature is an important concept used to classify food items. In this way, foods are comparable to herbs. This concept is also often referred to as the Nature of a food. The Four Natures according to Chinese medicine are Hot, Warm, Cool, and Cold. Foods may also be considered Neutral. Practically speaking, Hot and Cold as broad categories are the most significant factors. The terms Yin (cold) and Yang (hot) may also be employed. Generally speaking, the nature of a food is related to its physiological effect. There is some variation in explanations of how these concepts are generated. The effect may be due to differences in dosage. Da Huang (rhubarb) has been shown to have a purgative effect over a certain dose and an astringent quality in extremely small doses. Sweet/Sour, and Cool oranges promote the production of body fluids, quench thirst, and induce urination. Orange juice, however, may have the seemingly opposite effect of aggravating Hot conditions, particularly those involving Damp or Phlegm. The best approach is to apply reason and experience after examining as many resources as possible. Fortunately there are many resources available that adhere to the basic theoretical framework of Chinese Medicine. 3. Nourish Qi (often improving energy,absorption, and nourishment). In terms of side effects they can increase Heat, induce Fire, and damage fluids and Yin. 4. Calm Liver Yang (as in dizziness, and headache). They may damage Yang Qi of the Spleen/Stomach or Kidney, which gives rise to loose stools and poor digestion with bloating. Above all it is necessary to understand the basic Hot or Cold nature of the patient’s pattern and apply one’s understanding of thermal nature to treat according to the simplest axiom of Chinese Medicine: if there is not enough, add; if there is too much, take away. Thus treatment is accomplished by balancing. Thermal nature can be deduced from other properties as well. Healing with Whole Foods, by Paul Pitchford offers a useful list. In most cases, relying on a source text from the traditional literature is preferable. 1. Plants that take longer to grow are more warming than those that grow quickly. 2. Raw food is more cooling than cooked food. 3. Food eaten cold is more cooling. 4. Color may influence temperature: red, yellow and orange tend to be warmer, while purple, blue and green are cooler. 5. Heat increases with cooking. Increased time, temperature, and dryness have a similar effect. 6. Manipulating food through cutting, grinding, etc. creates more warmth. 7. Chewing food more thoroughly creates warmth and may mitigate cool foods. Seasonal influences on health have great importance in traditional theory, the season influences not only appropriate food choices, but also the nature of foods themselves. Orienting oneself to place and season is a hallmark of the traditional approach to nourishment. Thus, whatever foods are available naturally at a given time of year should be used. A story related to me while I was in Hangzhou, China emphasizes this idea. A doctor described how his mentor, an aged physician, would make a point of walking through the market place on the way to his clinic, even engaging with the food-sellers. In this way, he knew what foods were available, and he could surmise what type of illnesses might present due to over-consumption of the most popular items. The converse can also be true. Pear is noted for its heat-clearing effect and its ability to Nourish Yin and moisten Dryness. Pears are harvested in autumn, when dryness is considered to be a dominant factor. One can also examine the part of plant chosen. Just as in herbal medicine, the different parts have different effects. Leafy and effulgent greens tend to be cooler, growing fast, and are available during the height of summer. Their effect is to lift and cool. Root vegetables harvested in autumn tend to be more warming and to concentrate their influence on the interior, particularly improving the very digestive function itself. Armed with these basic ideas about taking food as medicine, and with some of the caveats mentioned in mind, go out and experiment. Your health will likely benefit from the open spirit of inquiry itself, as well as the attention to what you are eating. God willing, there is reward in sharing food, and giving oneself and one’s family the best. As Hakim Archuletta has suggested, we must remember our Creator with praise and gratitude first and foremost for health. And of course, we begin all activities in the name of God Most High.